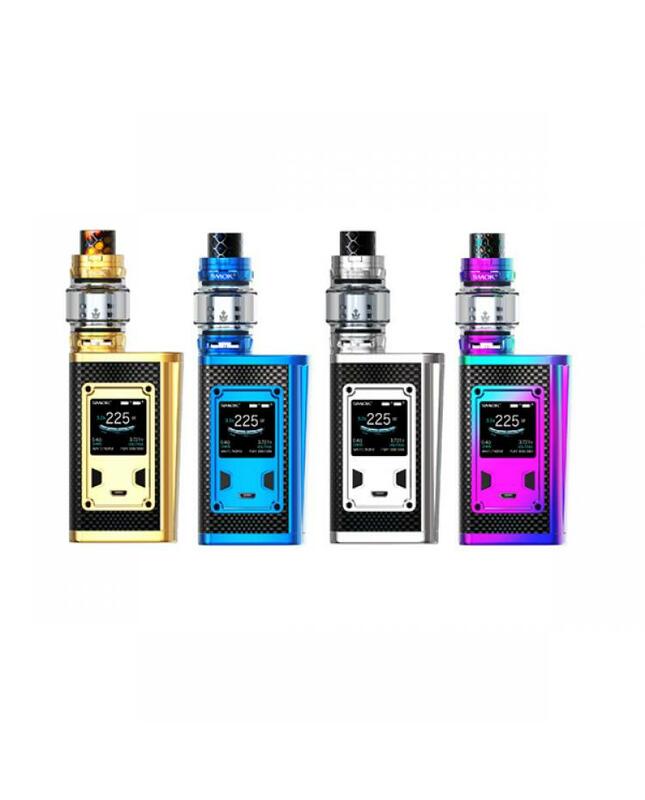 The Smok Majesty Kit Luxe Edition, which is a sumptuous version of ordinary smoktech majesty kit, eight fashionable colors available, whatever the combination of high-class carbon fiber and prism or the combination of glorious cobra and prism, it will offer you unprecedented fancy texture. 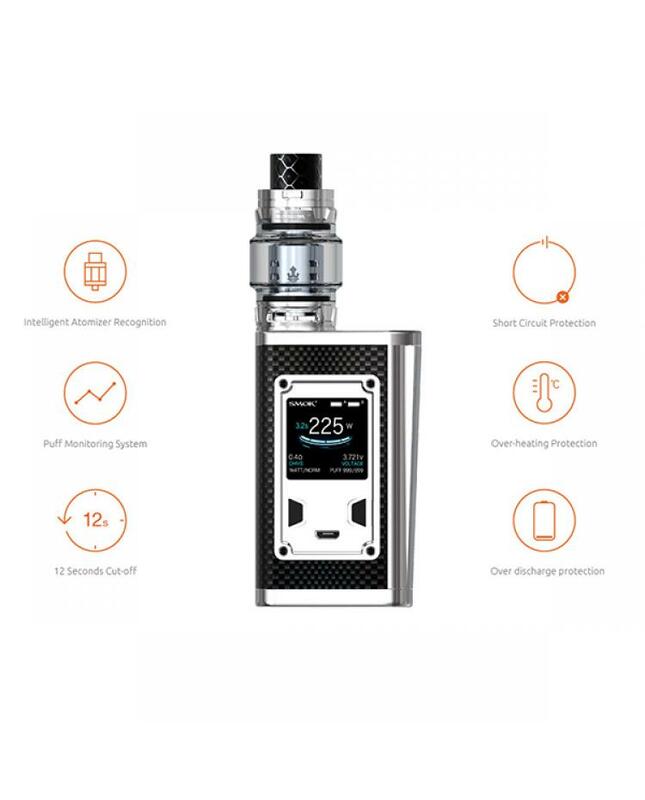 the Majesty Mod powered by dual 18650 batteries and max output 225watts, vapers can select three different working modes, it supports TC, VW and memory modes. the temp control mode can enhance the consistency and taste of every puff, variable wattage mode is perfect for cloud chasing, memory mode can DIY your personal preferences. 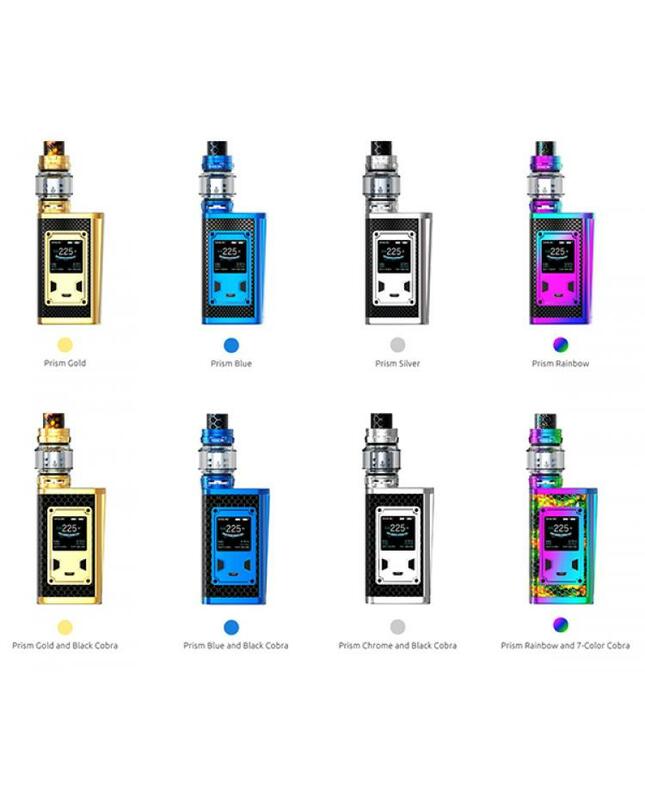 the smoktech majesty vape mod with large OLED screen and an upgraded user interface, which will provide you with more direct and detailed vaping data, also there are six colors available for screen setting. the majesty luxe edition powered by 2pcs 18650 batteries, the dual battery life indicator on the OLED screen is more accurate for you. the majesty mod with slide open design battery door, vapers can replace the batteries easily. the lateral fire key looks simple and brings easier operations. 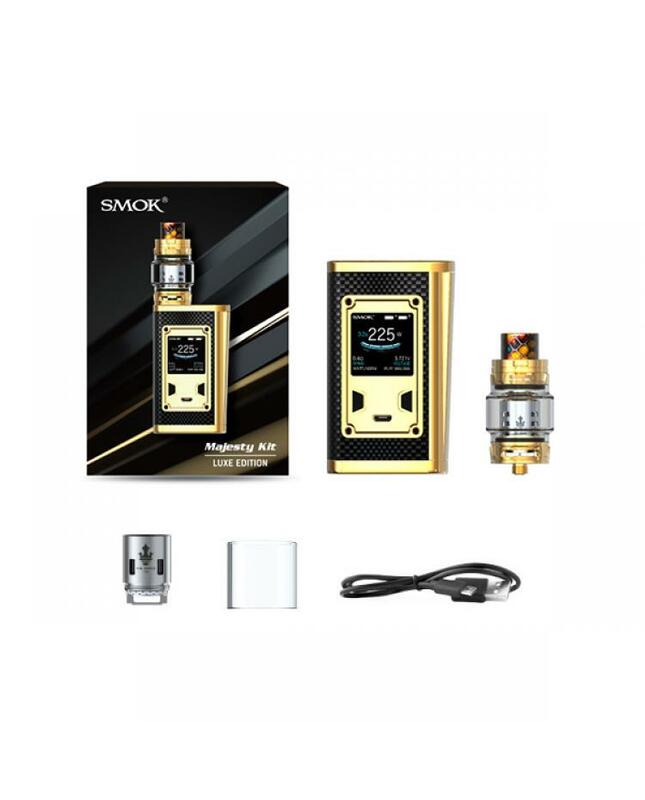 smok majesty luxe edition provides multiple types of protections to safeguard against potential risks. 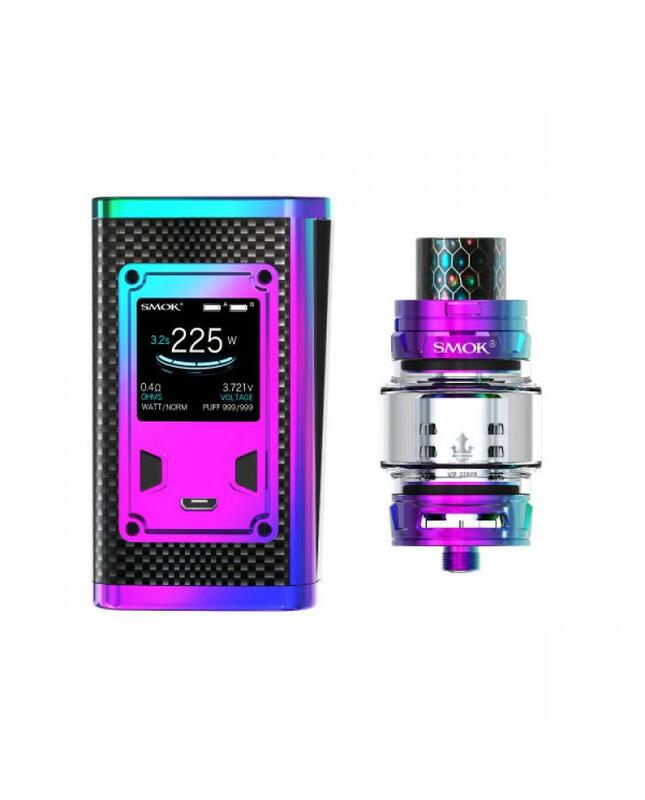 the TFV12 Prince Tank can hold 8ml e juice, top refill system allow vapers can inject e juice quickly and no leaking problem, the large bottom airflow adjustable slots allow you to adjust the airflow to your preference easily. the tank pre-installed V12 Prince-Q4 Core, and other three powerful replacement cores selectable. will produce a large cloud of vapor, the innovation appearance, and advanced performance will bring you a better vaping experience.